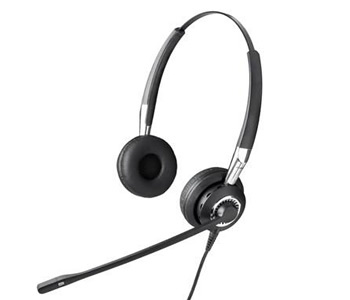 High end headsets for standard Desktop phones featuring the versatility required for selective headset users. Be heard – with Jabra Biz 2400’s clear voice transmission. Drown out the noise – with the headset’s advanced noise-canceling technology. Talk in comfort – with super soft ear cushions and your choice of headset. Work how you want – Jabra Biz 2400 Series has over 20 models to suit all office environments.